The 7th of July was the 200th anniversary of the death of Hampshire’s greatest author – Jane Austen. Here was truly a woman ahead of her time. In an era where very few women had the opportunity to vote, if they married their wealth automatically reverted to their husband, and if you were of the middle or upper classes, you weren’t even allowed outside unescorted. Yet, this innovative clergyman’s daughter wrote novels that resonate with far more emancipated women nearly 200 years later. Not familiar with any Austen novels? If you’ve watched Bridget Jones, the reason her leading man is called Mr Darcy is because it pays homage to Pride & Prejudice. Jane’s witty observations were beyond her time. She wrote about the snobbery and silliness of the etiquette surrounding finding a husband. She poked fun at how much more attractive a prospective husband was once he had money. Even Elizabeth Bennett fell a little bit more in love with Mr Darcy once she has seen his palatial pile (Pemberley). What can an eighteenth century spinster teach us sassier, worldly wise 21st century women? Well, that truly #thisgirlcan. Regardless of what barriers are out there, they’re out there to be overcome. Jane had to publish her first books under a pseudonym, it would have been unseemly to use her own name, even scandalous. However, unlike her contemporaries, she didn’t choose a male name – she used “A Lady”. She wanted her work to be recognised as being female. So let’s celebrate this amazing author who spent most of her life in and around the borough of Basingstoke. 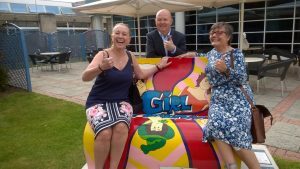 You may have seen the beautiful #sittingwithjane benches around the town, commissioned by Destination Basingstoke. These in turn will raise valuable funds for the Ark Cancer Charity, but in the meantime, why not sit with Jane in mind, think how she forged a career for herself against the odds and take inspiration to do likewise – to go out there and grab life because #thisgirlcan. Are you inspired by Jane Austen’s story? Perhaps it’s made you think about getting a new job or even a new career? Let us help you follow your dreams and and contact us for jobs in Basingstoke. 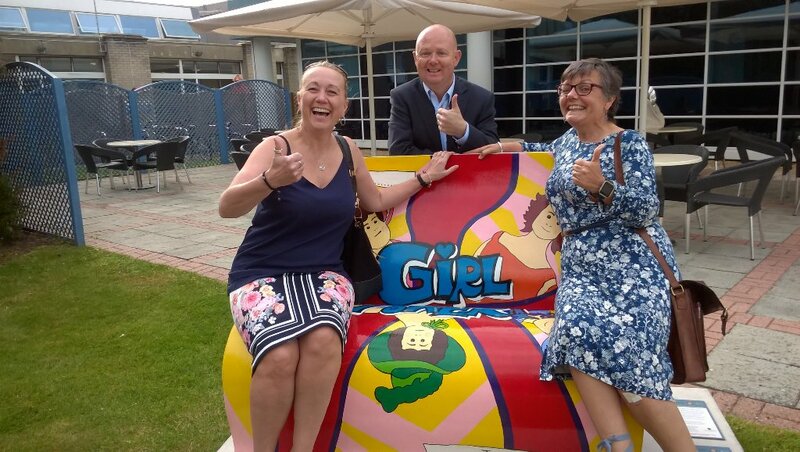 We have great connections within the Basingstoke business network and 28 years of experience finding women (and men!) jobs in Basingstoke, that really meet their true goals and aspirations. Email maxine@wotestreetpeople.co.uk or call 01256 799127 to talk to us more about jobs in Basingstoke, or if you are a business, we can support you to find the right candidates for your job vacancies.